Disposable cups, plates and cutlery are increasingly common and are an unnecessary and avoidable waste. There’s a simple enough solution: bring your own cup with you to collect your carry-out coffee; choose durable tableware for picnics and parties; use washable napkins and tablecloths. There’s a small amount of washing involved, but it more than makes up for the energy use and other emissions caused by the manufacture, transportation and disposal of wasteful single use items. In 2014 112.5 million disposable cups and plates were sold in supermarkets in the United States. And that doesn’t account for all the disposable cups and plates being used in restaurants, cafes and fast food outlets mounting up to total US sales value of $7.5 billion in 2012. 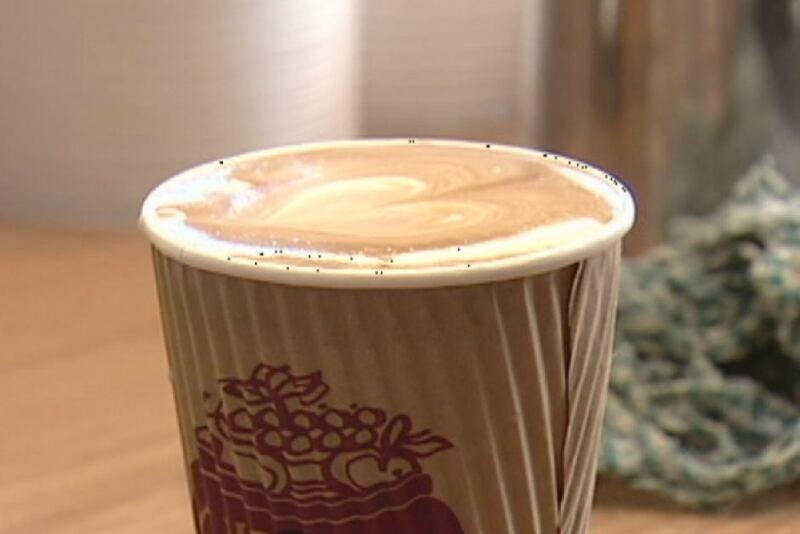 In Australia coffee cups are estimated to be the second largest contributor to litter waste after plastic bottles. It is estimated that Australians use one billion disposable coffee cups a year. We have become so keen on our carry-out coffees, our take-away salads and soups that we don’t stop to think of all the additional waste that’s being created. You may salve your conscience by peeling the plastic lid off your cup to throw into the recycling bin, but the cup cannot easily be composted or recycled. Food contaminated paper and card is not recyclable and plastic coated card is not compostable. Most paper cups and plates have a light waterproof coating which makes them unsuitable for composting or recycling even if they have not been food contaminated. The plastic bowl, lid and fork that comes with your healthy lunchtime salad might be recyclable, but they’ve been made using fossil fuels. Wooden forks, knives and stirrers avoid the use of plastic but they are still unnecessarily wasteful. While it may be slightly preferable to use a disposable cup manufactured from recycled materials it is still contributing to more unnecessary waste. And all single use disposable items are wasteful of the materials and energy used in manufacture, transportation and disposal. How many wooden implements are actually composted and how many end up in the trash? New banana leaf plates and bowls are emerging onto the market. They are fully compostable which is great, but there’s still the energy use in manufacture and transportation to measure up against a single use. So overall, go for durable, washable, reliable. It is difficult to quantify the carbon savings of some Actions. In this case we allocate a nominal 10kg CO2e per year. This is not reflective of the actual potential savings which may be significantly more, but to show that you are making a difference. If possible, we will provide representative calculations at a later date.